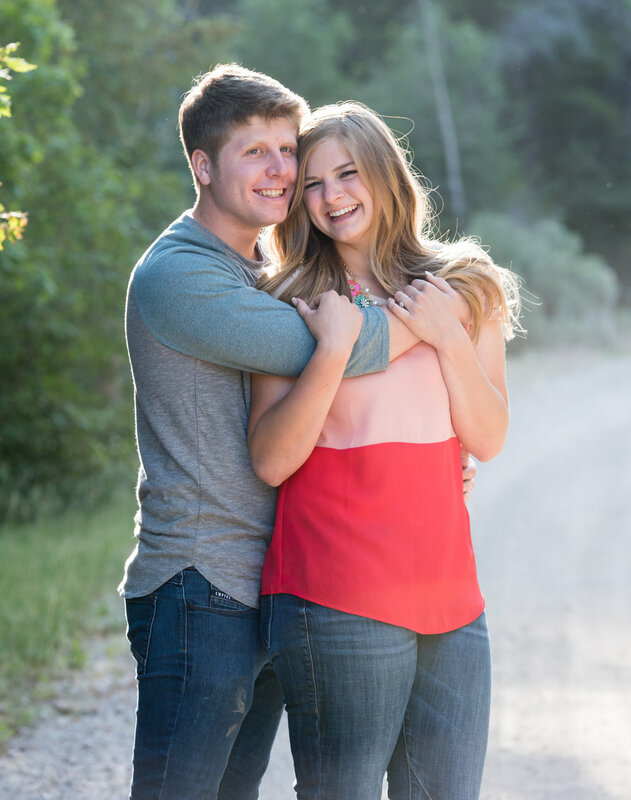 Abigail was the lucky winner of my Engagement Session Drawing and we had a great time together on location at Bear Lake! He proposed to Abigail in the middle of a hailstorm when they were kissing in the rain. She said yes and they are so happy together! This girl is crazy about her boy! It’s so fun for me to see all these happy, young couples starting a new adventure together, these two were super cute and I really enjoyed spending this time with them! I super liked them ;) We had the most amazing skies with the most amazing colors throughout the night as it got later and later. Simply AMAZING! Happy wedding day this week you two!